The United States and Ohio Constitutions require that all felony cases be presented to the grand jury for a determination of whether there is probable cause to believe that a crime has been committed and whether there is probable cause to believe that the accused committed the crime. 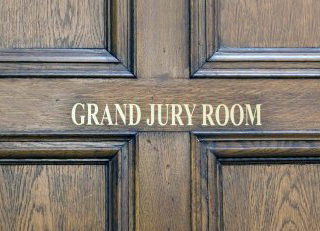 The Wayne County Grand Jury meets the first four Fridays of every month. Grand jurors serve for a period of one month, and cases are presented to the grand jury by Prosecuting Attorney Lutz. Generally, the Prosecutor presents each case through the testimony of the investigating officer, but victims and other witnesses will often be called to testify. The grand jurors listen to the testimony, review the law, and then vote whether or not to return an indictment against the accused. At least seven of nine grand jurors must vote in favor of a charge before it can be included in an indictment.